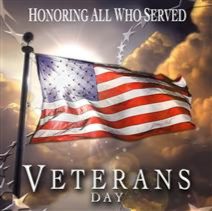 Tooele City honors and thanks all who have served and are currently serving our country, and would like to wish everyone a Happy and Safe Veteran’s Day! Tooele City Offices will be closed on Monday, November 12, 2018 in observance of the Veteran’s Day holiday. Trash will not be picked up on this day. Trash pick up services will be delayed that week by one day, beginning with the holiday (observed). If you have questions, please call (435) 843-2150. Thank you. If you have questions, please call (435) 843-2150. Thank you.